Worry no more about the after party mess! We provide professional after party cleaning in London that will take care of your place after the big celebration. Our professional cleaners can assure you that your place will be spotlessly clean and tidy. One of the most dreaded parts of having a party is the mess that it leaves behind. 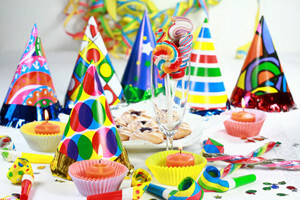 It is fun to have a party but the cleaning after the celebration can be very tiring and stressful. The idea of feeling exhausted because of the party and still have to clean up the mess is not that favourable by many. The Top House Cleaning knows that looking at the mess right after the party can be very frustrating. We offer cleaning services for every part of your house to ensure that no rubbish is left behind. The professional cleaners will clean all the used glasses, clear all used cans, bottles, food, empty all rubbish bins and clean the entire house including the kitchen and bathroom. Our cleaning prices are affordable and reasonable for your after party needs. Save yourself from all the headache of the after party effects by calling us at 020 3322 8291 and booking our after party cleaning London.